Natasha Gilbert is a freelance writer in Washington DC. For centuries, people across the globe have testified to the relaxing and invigorating qualities of tea. 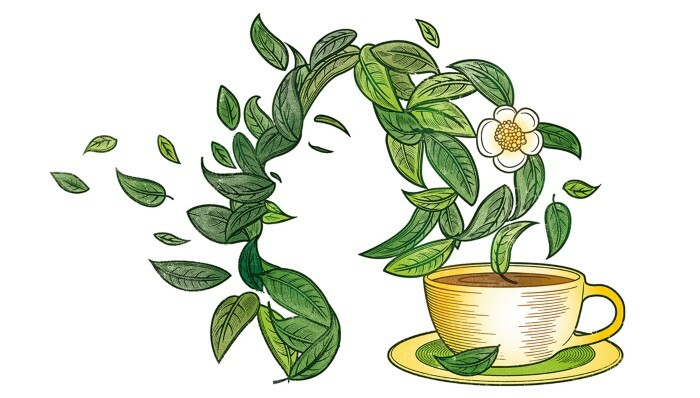 The traditional calming effects of the plant Camellia sinensis have elevated the drink, which is produced from its leaves, to a role beyond quenching thirst — it is drunk as an aid for meditation, to help soothe the nerves or simply to unwind. But although the mental-health benefits of C. sinensis are common knowledge among tea drinkers, scientists are only now beginning to examine how tea exerts its effects on mood and cognition. Researchers have found, for instance, that drinking tea lowers levels of the stress hormone cortisol. And evidence of long-term health benefits is emerging, too: drinking at least 100 millilitres (about half a cup) of green tea a day seems to lower the risk of developing depression and dementia. Scientists are also trying to identify the major active compounds that give tea its mental-health benefits, and whether they work alone or in combination with other compounds present in the drink. Tea catechins — antioxidants such as epigallocatechin gallate (EGCG) — account for up to 42% of the dry weight of brewed green tea, and the amino acid l-theanine makes up around 3%. EGCG is thought to make people feel calmer and improve memory and attention when consumed on its own. l-theanine is found to have a similar effect when consumed in combination with caffeine. Up to 5% of the dry weight of green tea is caffeine, which is known to improve mood, alertness and cognition. The effect of tea on behaviour is slightly paradoxical, says Andrew Scholey, a psychopharmacologist at Swinburne University of Technology in Melbourne, Australia. “Tea is calming, but alerting at the same time,” he says, while sipping a cup of Earl Grey tea. Explorations into the effects of tea on behaviour and mental health come at a time of growing scientific interest in the role of nutrition in mental health and preventive medicine. Physicians need more ways of tackling anxiety, depression and age-related cognitive decline — these conditions place a huge burden on health systems, and treatment options are limited. Stefan Borgwardt, a neuropsychiatrist at the University of Basel, Switzerland, similarly laments the lack of available therapies — around one-third of all people with anxiety and depression never find an effective therapy, he says. But he is cautious about the benefits tea can have for people who are clinically depressed. “It’s important not to overestimate the effects,” he says. Although there is clear evidence of moderate improvements to mood in healthy populations, studies have yet to demonstrate that tea can help people with mental illness. 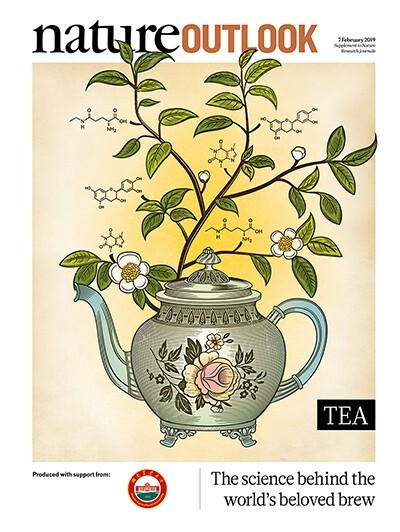 In addition, researchers need to strengthen their understanding of how the active constituents of tea act on the body, as well as the doses required to produce short- and long-term effects. Tea is big business. It is one of the most commonly consumed drinks in the world, and the industry is on the rise. Worldwide, the production of green tea is expected to grow at an annual rate of 7.5%, reaching 3.6 million tonnes in 2027, predicts the Food and Agricultural Organization of the United Nations. Given tea’s prominence, surprisingly little is known about its effects on human behaviour, says Scholey. Much of the evidence available comes from epidemiological studies, which generally show a positive effect on mood and cognitive function. Earlier this year, for example, researchers reported that in a healthy Korean population, those who habitually drank green tea were 21% less likely to develop depression over their lifetime than those who were non-drinkers1. Borgwardt says the Korean study shows that tea has “a relatively strong effect”, on a par with that of 2.5 hours of exercise per week. Epidemiological studies suggest that long-term habitual consumption of green tea might reduce the risk of dementia. One study of people aged over 55 in Singapore, for example, found that those who drank as little as one cup of tea per week performed better at memory and information-processing tasks than did non-tea-drinkers2. But epidemiological studies have limitations. Other lifestyle factors or genetics could be responsible for the positive results, says Borgwardt. “Lots of research shows something is happening with tea. But the way the research is done doesn’t elucidate what is happening,” says David Kennedy, a biological psychologist at Northumbria University in Newcastle, UK. One possible confounding factor is that the process of preparing and drinking tea is having the effect, not the tea itself. In 2007, Andrew Steptoe, a psychologist at University College London, investigated whether tea’s relaxing effects are a direct biological outcome or derived from the social context in which the drink is consumed, such as sitting down quietly for a rest. “Tea is frequently consumed under conditions that are conducive to relaxation that may themselves be responsible for the apparent benefits,” Steptoe says. Steptoe and his team examined the effect in healthy men of drinking black tea compared with a caffeinated placebo. The tea and the placebo were presented as fruit flavoured powders, coloured like tea to mask any differences between the two drinks. The researchers found that tea helped people to recover more quickly from a stressful task3. Saliva levels of the stress hormone cortisol fell to 53% of baseline levels within 50 minutes of the task for the tea-drinking group, compared to 73% of the baseline for the placebo drinkers. The tea drinkers also said they felt more relaxed than did those who drank the placebo. Researchers are also starting to look at which compounds give tea its beneficial properties. Tests of the key constituents — l-theanine and EGCG — suggest that they contribute alone and in combination with caffeine. In 2016, Scholey and his colleagues reported that volunteers who consumed a nutrient drink containing 200 milligrams of l-theanine — around the amount found in eight cups of tea — had lower cortisol levels and reported feeling more relaxed after performing stress-inducing tasks than did those who consumed a placebo4. The researchers also used magnetoencephalography (MEG) to assess changes in brain activity associated with the drink. People who were naturally more anxious showed an increase in lower-frequency brainwaves, known as alpha oscillatory activity. Alpha brainwaves are associated with relaxation and a lack of active cognitive processing. l-theanine could act on brain chemistry in several ways, says Borgwardt. The compound passes through the blood–brain barrier, so it could directly benefit brain plasticity — the process through which the brain regenerates itself. It could also act on the hypothalamic pituitary adrenal axis (the body’s stress response system), reducing cortisol and stress levels. Animal tests suggest that l-theanine also boosts the neurotransmitter GABA (γ-aminobutyric acid), which in turn reduces anxiety. The other major constituent of green tea, EGCG, also seems to contribute to the drink’s mental-health benefits. 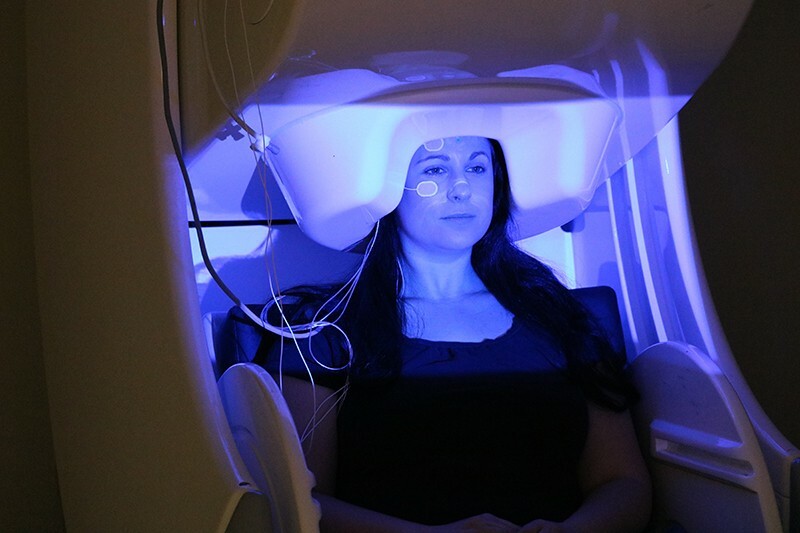 In a detailed study, Scholey used electroencephalography to compare the brain activity of people consuming either an EGCG-containing nutrient drink or a placebo. The EGCG drinkers experienced an increase in brain activity across all bandwidths: alpha waves; theta waves, which are associated with quiet wakefulness; and beta waves, which increase with focus and attention. The study suggests that the EGCG drink nurtured a relaxed and attentive state of mind6. Animal and in vitro studies7 have shown that EGCG can pass through the blood–brain barrier to act directly on the brain, and that it might improve the health of blood vessels and boost the supply of nitric oxide that together could benefit cognitive function. Although research on the mental-health benefits of tea is ramping up, much is still unknown. Researchers still don’t understand how tea’s constituent compounds work together. Caffeine is known to benefit mood and cognition, and its biochemistry is widely understood — it stops the sleep-controlling chemical adenosine from binding to its receptors, helping to maintain neural activity and making caffeine-drinkers feel more awake. But little is known about how caffeine interacts with EGCG. Similarly, it is not clear whether caffeine boosts the cognitive effects of l-theanine or vice versa. It will be necessary to resolve such uncertainties before researchers can pin down more precisely tea’s long-term benefits and its possible use for people with mental-health conditions. And for some researchers, including Scholey, tea’s effects on mood and cognition give rise to even deeper and more esoteric questions. For instance, why has the brain not evolved to perform optimally without the need to consume chemical brews? 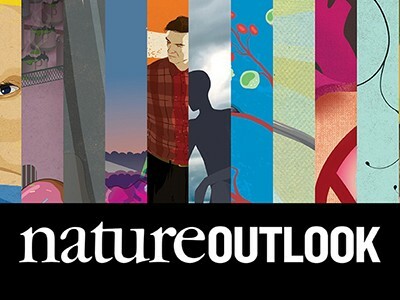 This article is part of Nature Outlook: Tea, an editorially independent supplement produced with the financial support of third parties. About this content. Kim, J. & Kim, J. Nutrients 10, 1201 (2018). Feng, L., Gwee, X., Kua, E. H. & Ng, T. P. J. Nutr. Health Aging 14, 433–438 (2010). Steptoe, A. et al. Psychopharmacology 190, 81–89 (2007). White, D. J. et al. Nutrients 8, 53 (2016). Haskell, C. F. et al. Biol. Psychol. 77, 113–122 (2008). Scholey, A. et al. Appetite 58, 767–770 (2012). Camfield, D. A. et al. Nutr. Rev. 72, 507–522 (2014).